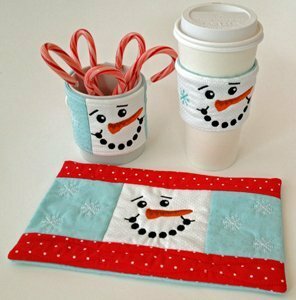 Our snowman beverage set designs are made in the hoop. 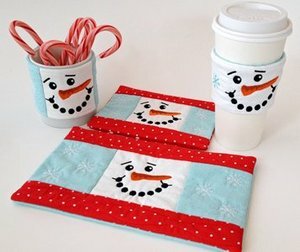 They stitch up so cute and make a great gift set. 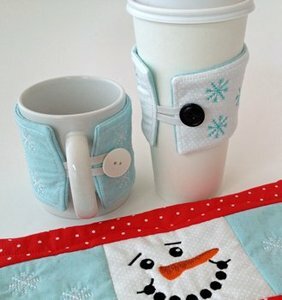 This set includes a Cup Cozy, 2 sizes of Mug Rugs and a Coffee Sleeve. 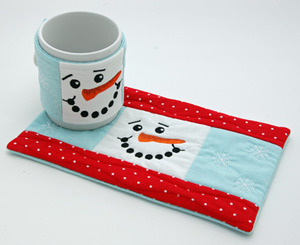 The large mug rug is a generous size, approximately 5.50" x 10" when finished. The 5x7 finishes out to about 4.75" x 6.75". The cozy & sleeve secure with a button and elastic loop. 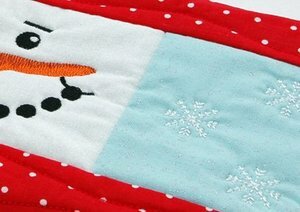 These designs feature small snowflakes and quilting.